I am a graduate of Baylor University where I attained a Bachelor of Business Administration from the Hankamer School of Business in Information Systems and Marketing. I currently run my own consulting business - Bluetag Consulting, LLC. I have a home office network using a combination of Linux, FreeBSD, Smoothwall, and Windows machines. Take a look at the setup page for how the home office looks and pictures the machines. Here are some scripts and howtos I have accumulated to get some of my statistics of monitoring this website as well as my servers, including setting up an iSCSI Target for my CCTV System on one of my Linux boxes, and a BGInfo vbscript for obtaining the IP, DNS and DHCP settings for my Windows laptops with wired and wireless adapters. I recently purchased a weather station, and I am using RRDTool to graph outputs. 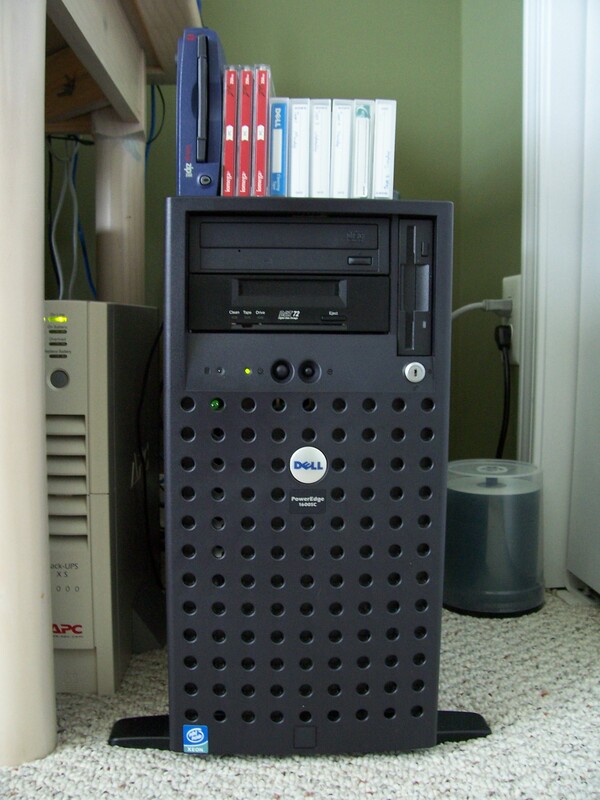 The home office backbone server is a Dell Poweredge T410. The server has 2 160GB SATA hard drives and 2 500GB SATA hard drives, both in a Raid 1 array. The raid controller is an Perc6/i. I use Openmanage (installed from Dell's Linux Repository) for monitoring the server and Openmanage provides me with the necessary snmp's to monitor via mrtg. I use MRTG to monitor the server, as well as graph hard drive temperatures for my various machines as well as uptime stats. The T410 has a DAT72 tape drive for nightly backups as well, connected by a 320 SCSI PCIe Host Adapter card. The server is primarily used for DNS (Bind), file server (Samba), wireless authentication (FreeRadius) and DHCP. The server also controls the apcupsd battery backups via the netserver option for a few of the machines. The T410 replaced my 6 year old Poweredge 1600sc. My MythTV environment consists of a master backend and a minimyth diskless frontend. I originally had 2 PVR-150 tuners to capture analog cable, but my provider moved to digital cable so I began using HDHomeruns to capture the digital cable. Then my provider started encrypting the digital signals, so I tried using HDPVR, but I could not get it working with Centos. Luckily, the HDHomerun Prime came along, and with a CableCard, I am able to capture digital cable once again. I orginally setup my MythTV environment with Fedora 5 a few years ago, but migrated to CentOS for my mythbackend. More details are on my MythTV page. The Minimyth-AMD is able to view HD programing from my HDHomerun tuner card, while the retired Minimyth-EPIA was limited to normal cable viewing. My network also has an mrepo server which is mainly used for CentOS yum updates. I also keep a Fedora repository for testing. The mrepo server serves my Mythbackend as well as my main server. My mrepo page details how I have it configured. The machine also serves as a iSCSI Target for my CCTV server, as well as a backup to my main Poweredge 1600sc server. 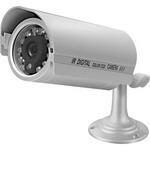 I have a CCTV Server that monitors my home with six cameras. The system is running on a Dell Vostro 420 - 2.8ghz Core 2 Duo (E7400), 3GB RAM. I have a 500GB HD for storage of video files, which gives me about 60 days of storage for the six cameras. I also hava an ATI Radeon 3450 graphics card. The system is running Geovision v8.31 with a GV-1240 card and six NUVICO W27IR19N cameras. I am able to monitor the system remotely, as well as upload images to an ftp site. I setup an iSCSI disk for my Geovision CCTV System, and here is the process I took to get it working. This website was created based off of open source web design, specifically this design.